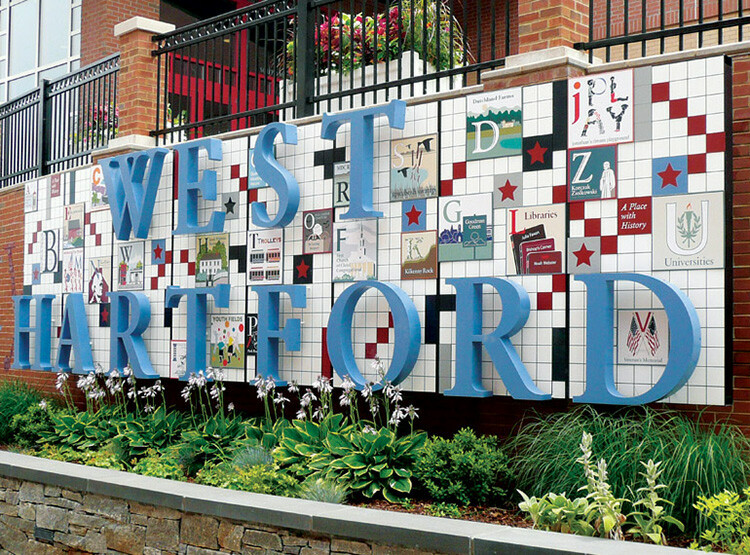 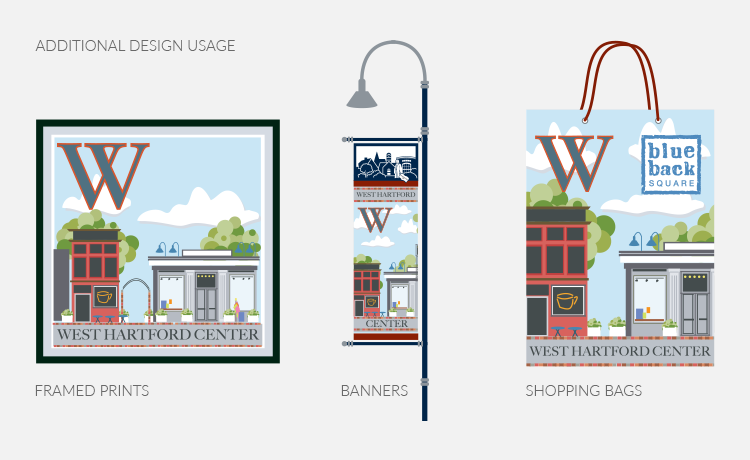 Environmental Graphic Design and Wayfinding Signage for a mixed-use town center development project for the town of West Hartford, Connecticut. 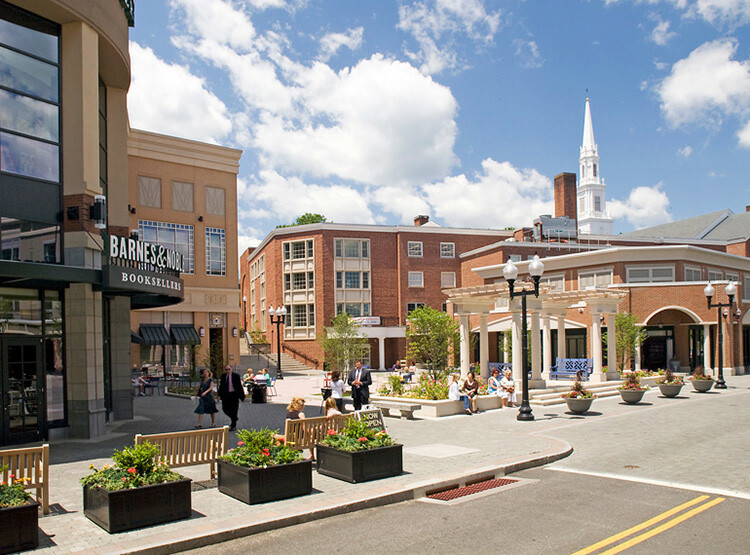 Blue Back Square was a mixed-use town center revitalization project for the town of West Hartford, Connecticut. 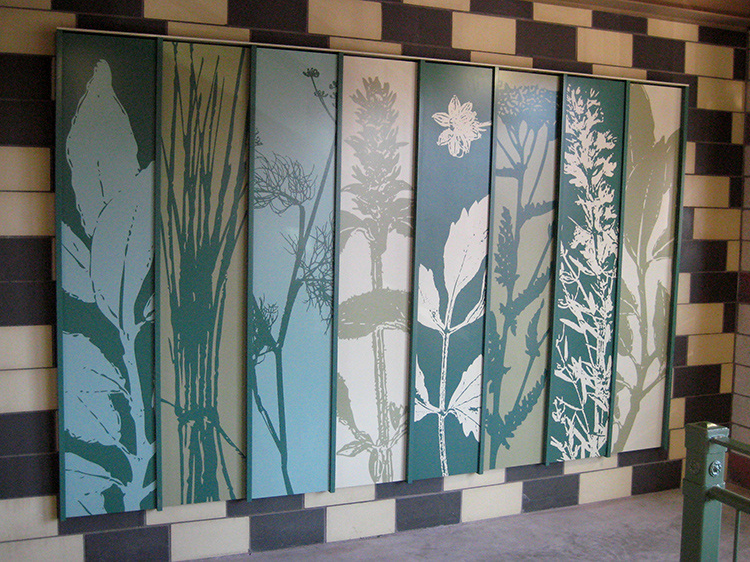 I worked on a small team under the creative direction of Tracy Turner Design Inc. to create a comprehensive environmental graphic design program for development of retail, residential, offices and public spaces. 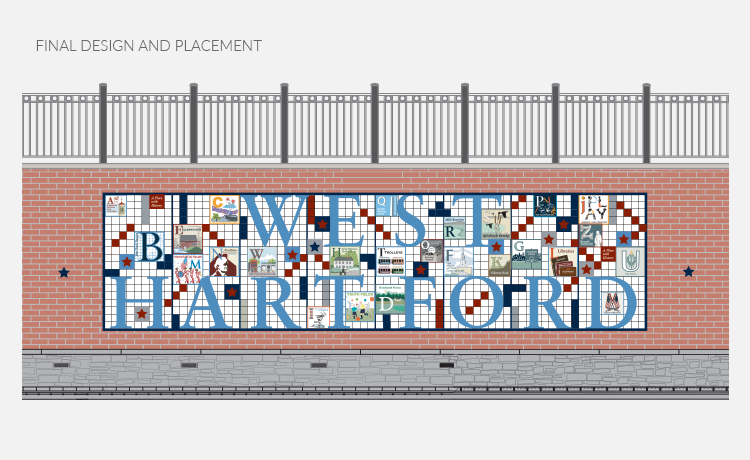 The overarching theme behind the designs was inspired by West Hartford native, Noah Webster, the author and publisher of the first American dictionary and his linguistic achievements. 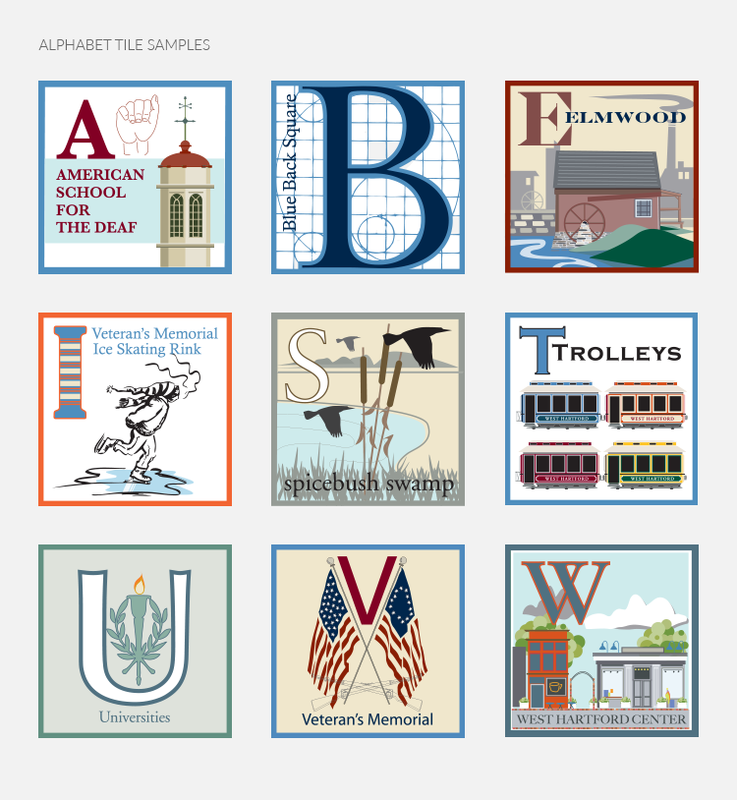 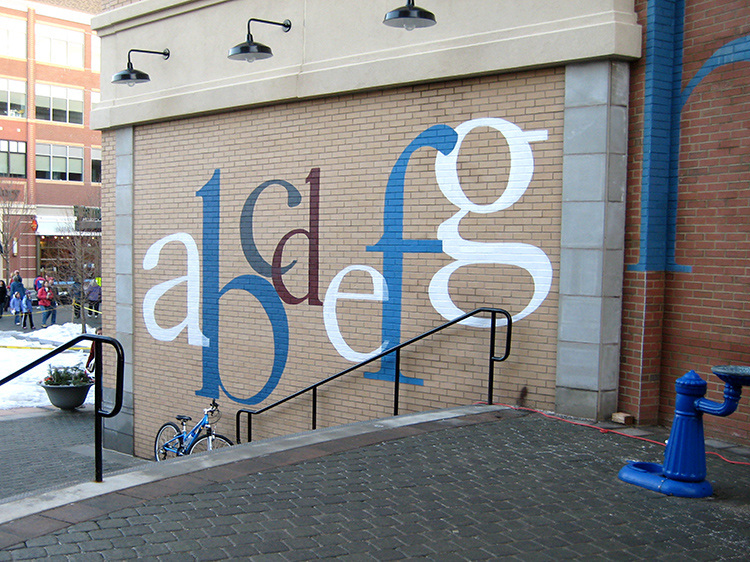 As a centerpiece for the public square area, I designed a complete set of illustrated tiles for each letter of the alphabet highlighting a historical or cultural touchstone for West Hartford and the surrounding areas resulting in a three dimensional mural installation that has become one of the town's most loved and most photographed landmarks. 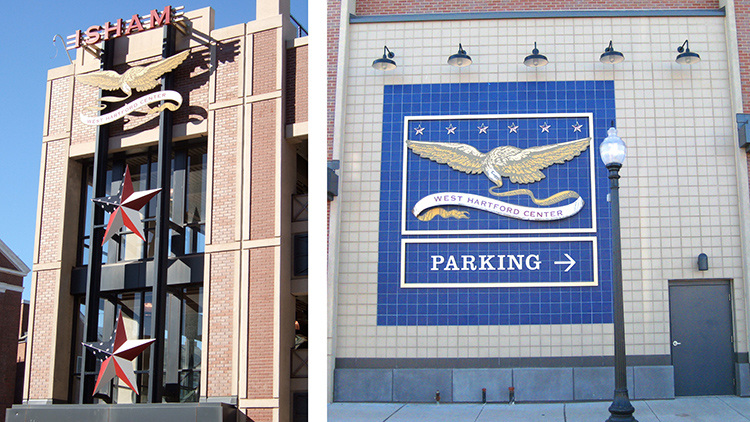 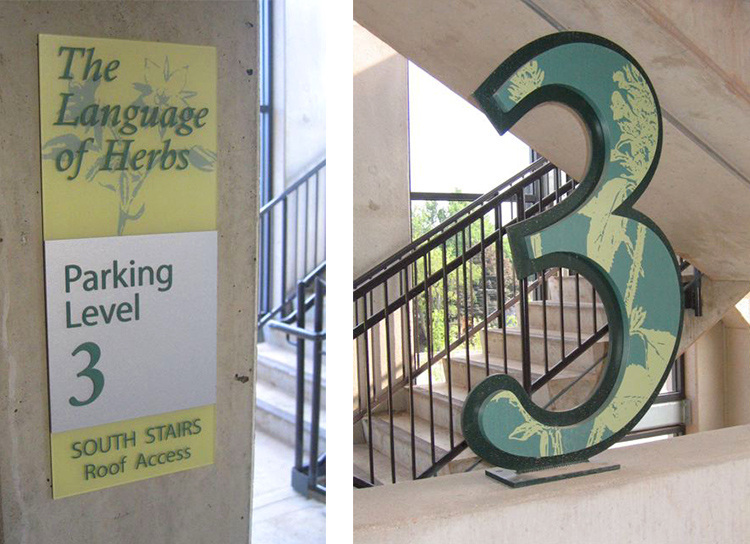 I also created designs for the facades, and interior wayfinding and decorative signage for the square's parking garages. 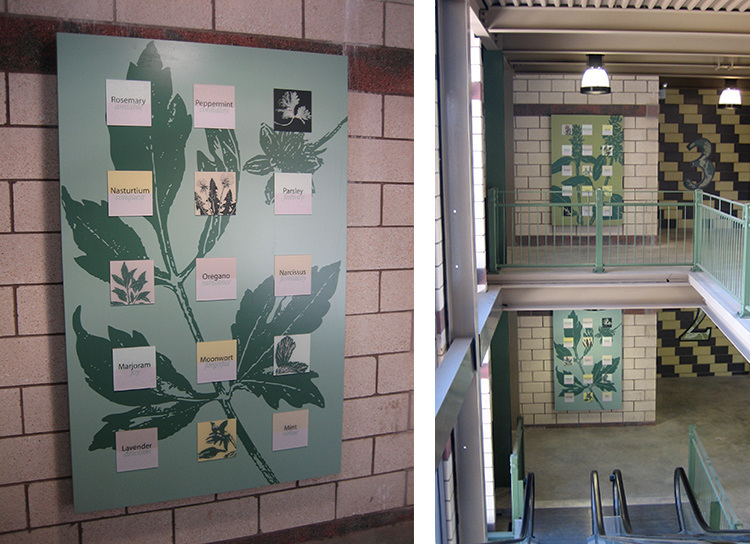 The themes for each garage were inspired by Noah Webster's devout early American patriotism and his studies in herbology.